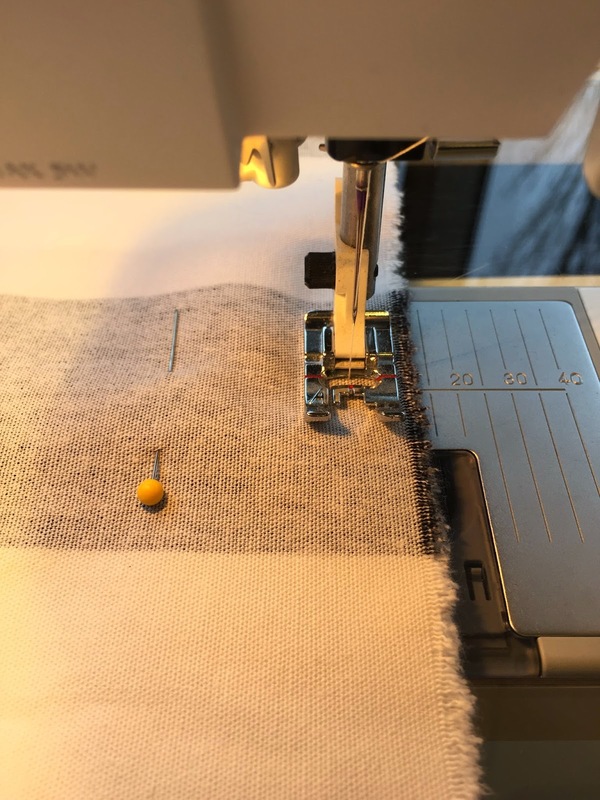 If you can sew a straight line, than you can make this pillow case. First, cut your piece of fabric 1" bigger than your insert. My insert is 26" x 26", so I cut it 27" x 27"
Iron it flat. Also, it's a good idea to pre wash your fabric in case the material shrinks. Next you want to cut 2 pieces for the back flaps. My first piece measures 27" x 20" and my second piece measures 27" x 14"
Fold over one edge and iron flat for the hem. Fold over again and iron that. Repeat with the other smaller piece. 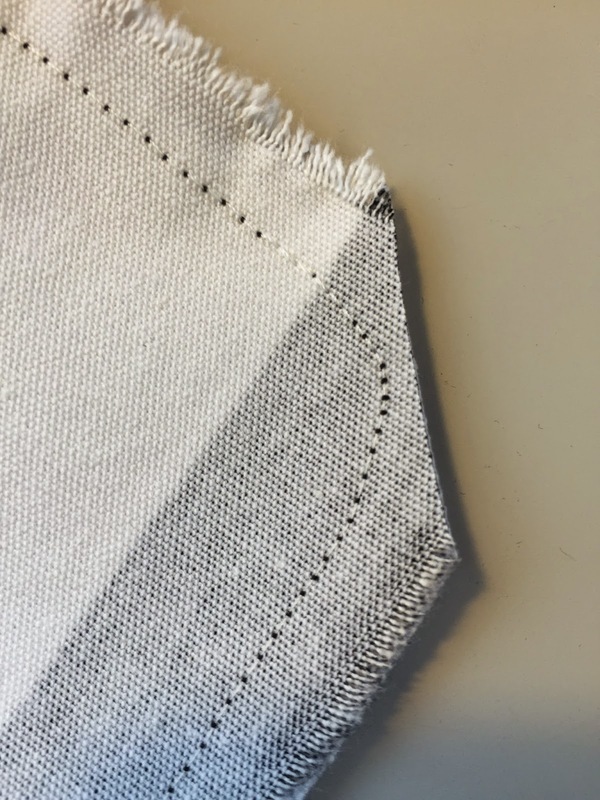 Once everything is ironed, take the two smaller pieces to the sewing machine and sew the hem. Place your largest piece right side up on the ground or table. 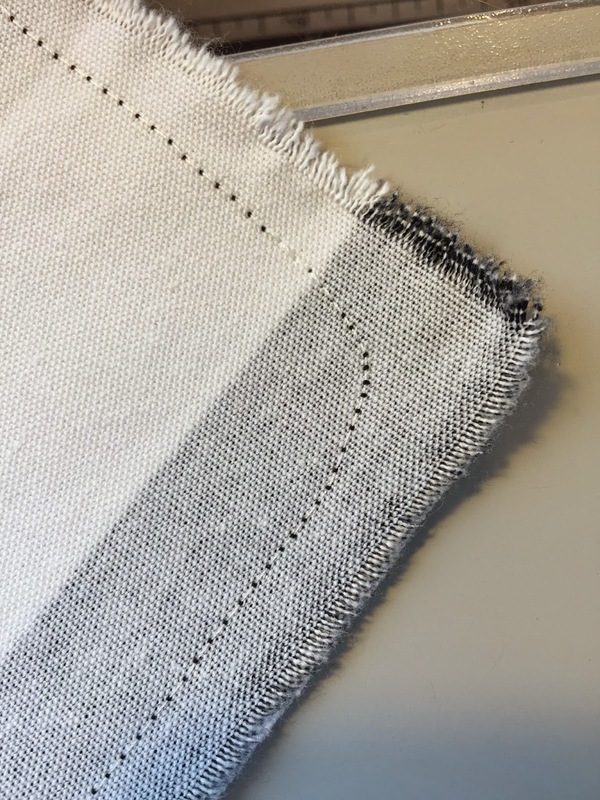 Lay one back flap on top,right side down, hemmed edge towards the center. Lay the other piece right side down, hem towards the center and then pin all the way around. On these larger pillows I also like to put a pin in the center so nothing shifts while sewing. Sew all four edges, rounding the corners slightly. 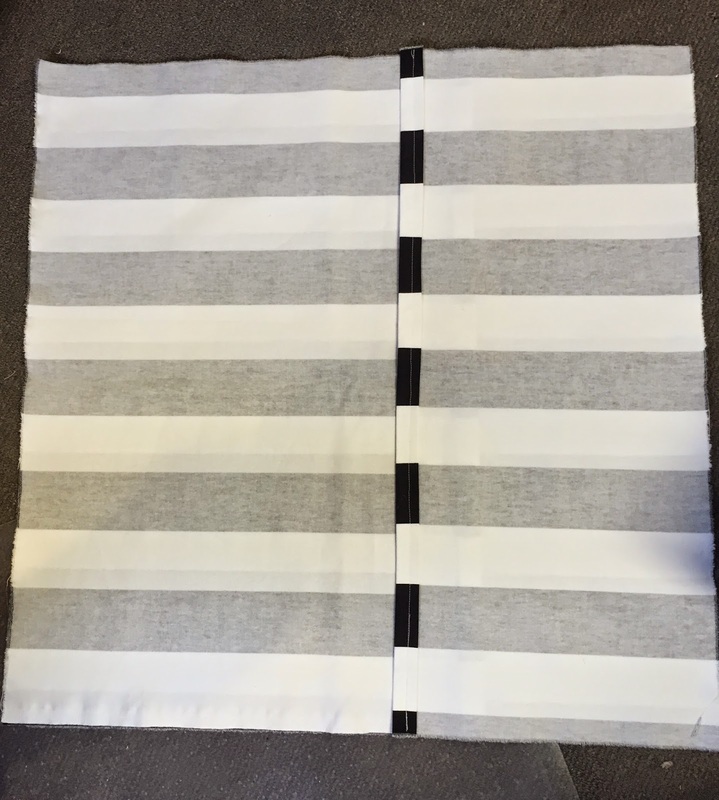 Once you have sewn all 4 sides, cut each corner and then turn the whole thing right side out. I like using feather/down inserts. For reference, I got my material here. Great job, love it! thanks for the reference. I love pillows and am always sewing covers. 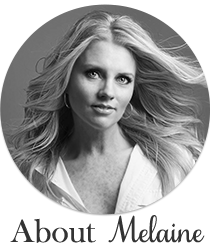 Another who likes the rounded corners. I usually take a plate, lid, etc. and trace my rounded corner. Also, I like a really full pillow so I use an insert 2 inches smaller than my cover. I only use down. 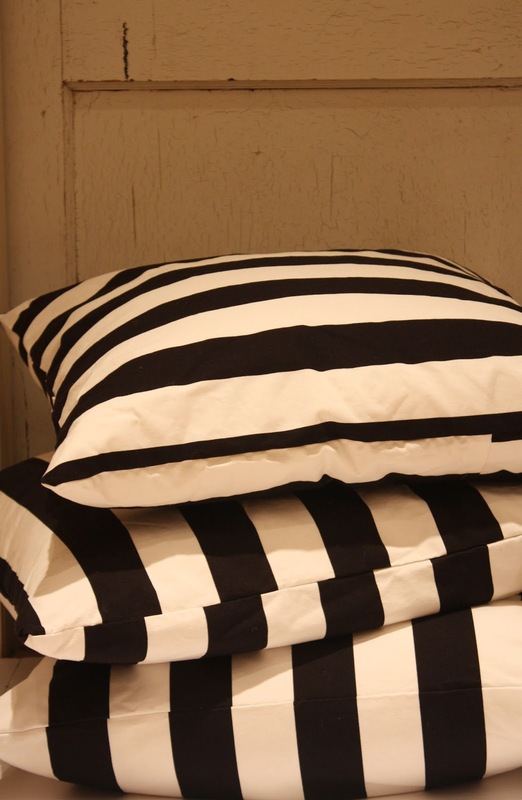 Where will you use your striped pillows? 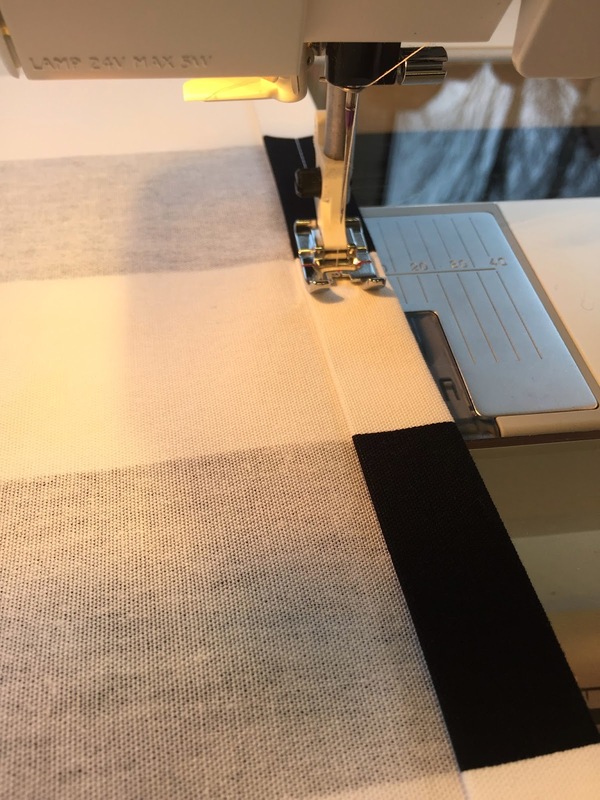 Love the black and white stripes, I love to sew and will be getting back to sewing up some pillows soon..
What size seams did you sew? Looks like a half inch, but I wanted to check. They look great, and I have some fabric just waiting to recover some pillows for my family room. Thanks for the quick tutorial.